World Cup winners France face Germany in a blockbuster start to the UEFA Nations League on Thursday. The tournament sees 55 European nations competing in four leagues, with Euro 2020 play-off places up for grabs and all games live on Sky Sports Football. 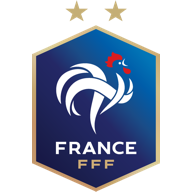 France won the World Cup two months ago and head coach Didier Deschamps has retained the entirety of the squad that triumphed in Russia, with the exception of captain Hugo Lloris and fellow goalkeeper Steve Mandanda, both ruled out by injury. "It's a galvanising effect to have this title, in terms of confidence," he said. "This title of world champion, you have to manage it but it's not a weight or a burden to carry. It's quite the opposite. "It won't prevent them from going through tougher times, but it's not necessarily linked to the tag of world champion." 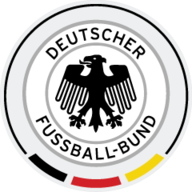 Germany won the World Cup in 2014 but suffered disappointment in Russia as they were knocked out in the group stages. However, goalkeeper Manuel Neuer says playing France is the perfect opportunity to bounce back. "It's the best thing that can happen to us," he said. "We want to take fun and joy into the game and play winning football again." Germany and France meet in League A Group One, while Wales and Republic of Ireland face off in League B Group Four. Kazakhstan and Georgia officially start the tournament with their match at 3pm BST, while other games include Czech Republic v Ukraine, Norway v Cyprus, and Slovenia v Bulgaria. England start their campaign on Saturday when they play Spain, live on Sky Sports.